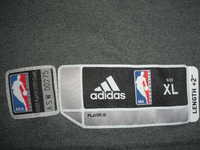 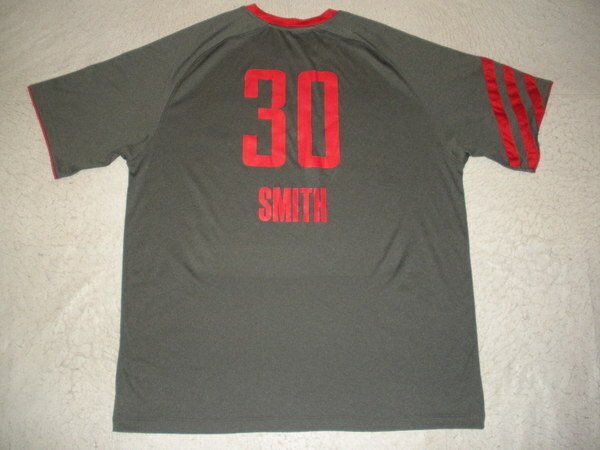 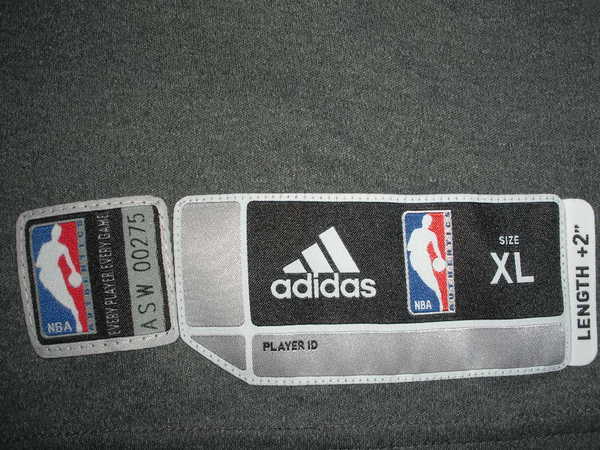 Smith, of the Houston Rockets, wore this short-sleeved shooting shirt during the 2012 NBA All-Star Weekend held February 24-26, 2012 in Orlando, Florida. 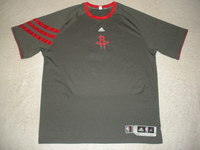 He wore this shirt during the Haier Shooting Stars competition on February 25, 2012 at Amway Center. 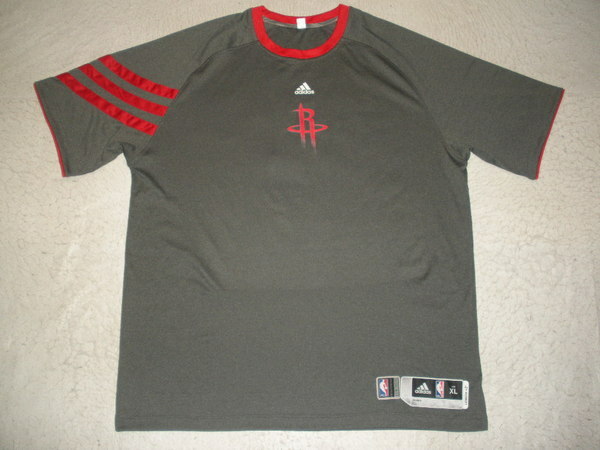 This shirt is accented with the team colors. 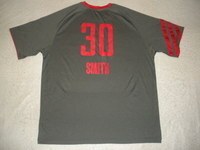 The team logo is on the front of the shirt, and the player's name and number are on the back.